ST. GEORGE — Students with special needs in Washington County will now have greater opportunity to participate in recess and physical education activities with their classmates, thanks to a $20,000 gift from Stephen Wade Toyota and Toyota Corporate. The gift of 58 pumper cars was presented to Washington County School District Friday afternoon. The cars provide kids the opportunity to strengthen their muscles and release anxiety, as well as physical or mental tension. The small pumper car, which is for ages 2-5, costs $349, while the larger pumper car for ages 5-12 costs nearly $400. Stephen Wade Toyota donated $10,000 to purchase the pumper cars, and Toyota Corporate matched that. 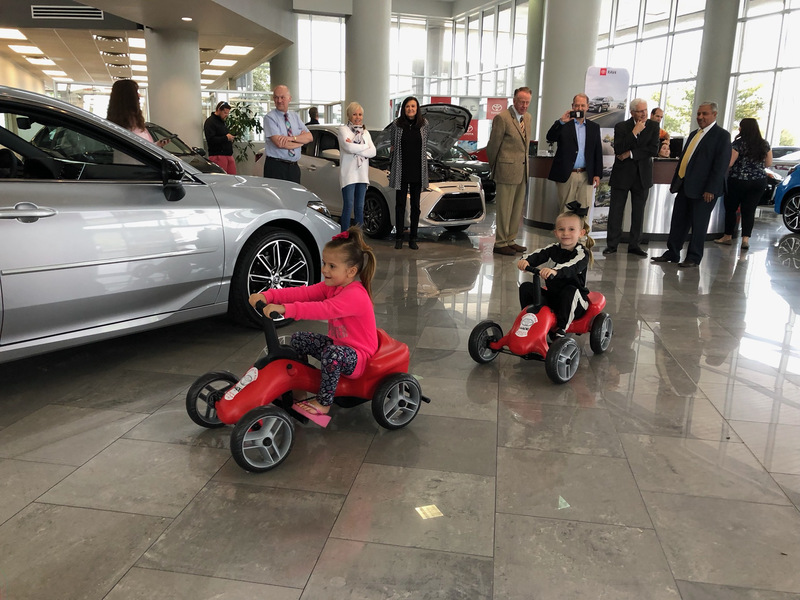 “Anytime we can help them become more involved, more normalized and participate and connect with their peers in their education, the better it’s going to be for them,” Superintendent Larry Bergeson said during the presentation of the pumper cars at Stephen Wade Toyota in St. George. Washington County currently has approximately 31,000 students, and around 4,000 of those students have special needs, said Steve Dunham, school district communication and public relations director. 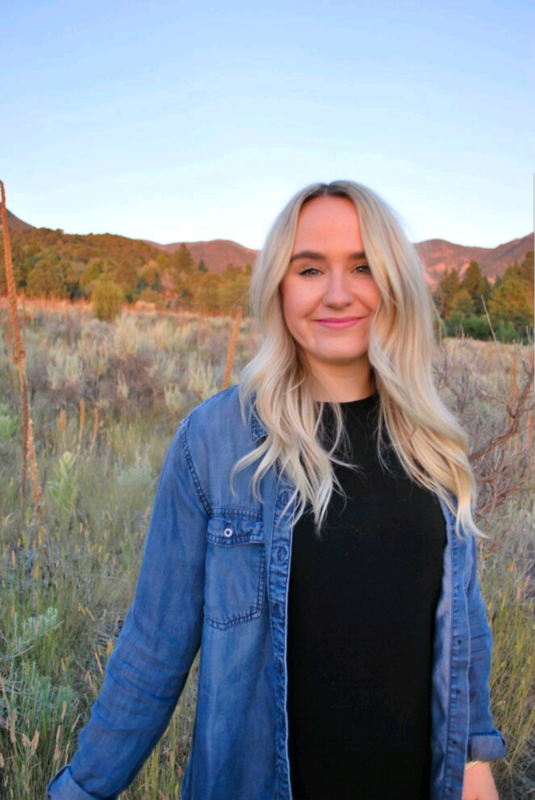 While the pumper cars are more often used by students who have mobility issues, Dunham told St. George News that the cars can help children with a variety of disabilities, such as autism. Each elementary school in Washington County will receive one small and large pumper car. 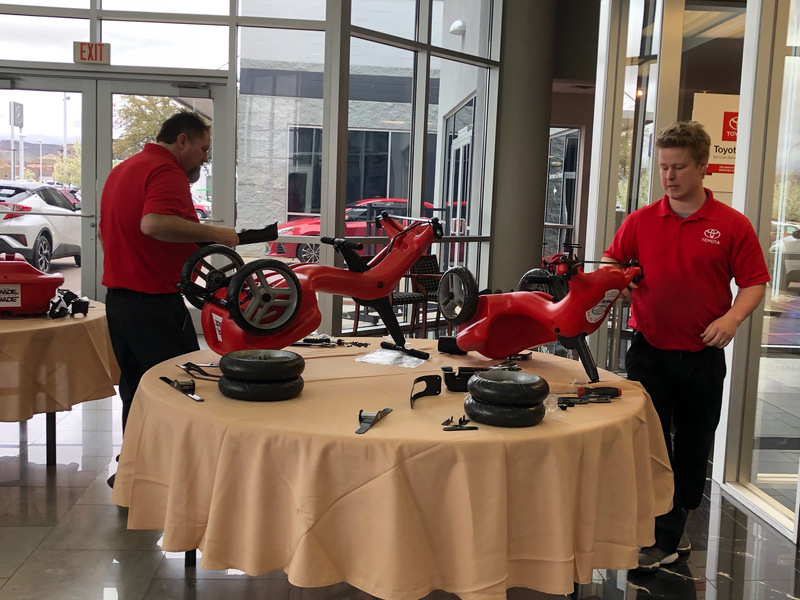 After the presentation, staff members from Stephen Wade Toyota helped assemble the pumper cars, while children played with the ones already built. Stephen Wade said he saw the need for the pumper cars in the community and is grateful his company is able to help local students. “First of all, we’re a mobility company, and second of all, we’re a family company,” he said. “Those two just aligned with everything that’s important to us as a dealership. Stephen Wade Honda wins President's Award from American Honda Motor Co.